Registered Massage Therapist (RMT) and Diploma of Osteopathic Manual Practice (D.O.M.P.) Candidate. 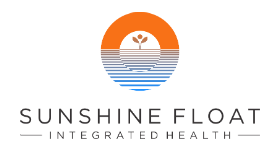 As well, proud owner of Sunshine Float and Integrated Health. On April 3rd 2017, Pamela successfully completed her 5th year exams for Manual Osteopathy training with the British Columbia School of Manual Osteopathy. Pamela is preparing to begin her thesis process for her Diploma of Osteopathic Manual Practice DO(MP). 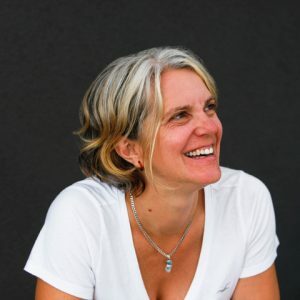 Pamela began journey into Manual Therapy in 2006 with the 3000 hour Registered Massage Therapy (RMT) program at the Vancouver College of Massage Therapy (VCMT). When treating clients, Pamela combines her training, interest and experience from both schools of thought, and tailors her treatment plan to what will best suit each individual client’s needs. The focus of Pamela’s practice is on assessing and treating the cause of dysfunction, as opposed to just alleviating symptoms. How to Prepare for a session with Pamela? Please come hydrated. As well, to make it easier to access your tissues and body for assessment and treatment, please be sure to wear shorts, or bring a pair with you that you can change into. For the ladies, please wear a sports bra or tank-top/camisole. Please note, even though Pamela is a RMT, she often does not do massage, she practices holistic & dynamic techniques. During your initial session, Pamela gathers a thorough history of your symptoms, physical injuries & surgeries in order to gain an understanding of the particulars of your individual case; therefore if you have medical imaging results that you believe would be of significance, please bring them along. Traditional Manual Osteopathy is the holistic and dynamic assessment and treatment of the individual. The goal is to restore vitality to the organism, and facilitate the body to heal itself. The history of Osteopathy dates back to Kirksville, Missouri, in the midst of the American Civil War. There, Andrew Taylor Still (1828 – 1917), a medical doctor and surgeon, was on a quest to find answers, longing to effectively treat deadly systemic and orthopedic diseases and injuries, such as meningitis, war wounds, and gangrene. Throughout his life, Dr. Still was able to consistently reproduce positive results with his manual treatments that adhered to anatomical structures. Until his death, he insisted he did not create or discover anything. According to Dr. Still, Osteopathy has always been present within nature. In 1892, Dr. Still founded a teaching facility in Kirksville, Missouri, where he was able to train an extensive following of Osteopaths, including female practitioners, despite it being a time of extreme patriarchy. Before his death, he requested that his proteges continue the work by expanding and researching the practice of Osteopathy, which is exactly what has happened and continues to this day. 1. Structure governs function, and function governs structure. 2. The rule of the artery is absolute, meaning healthy circulation of fluids within an area is paramount for tissue health. 3. The body is a functional unit, and all systems are interconnected. 4. The natural autoregulation of the organism means the body has the ability to heal itself. Osteopathy in Canada is very different from that in the United States. American Osteopaths are Medical Doctors that commonly do not practice manual therapy, where as in Canada we are hands-on manual therapists. 1. Structural: e.g., osteo-articular adjustments, muscle energy, and myofascial techniques. 2. Cranial Osteopathy: e.g., working with the connective tissue (dura) that surrounds the brain and spinal cord, the fluid that bathes the brain and spinal cord, and the individual cranial bones that make up the skull as well as the sacrum, which is the triangle bone at the end of your spine. 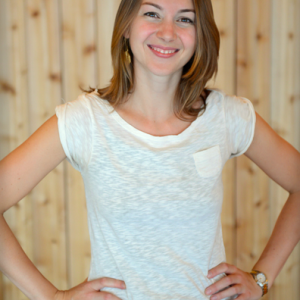 What Compelled Pamela to Study Osteopathy? Many massage therapy courses and techniques were actually developed from Osteopathy, e.g., cranial sacral therapy, visceral manipulation, muscle energy technique, myofascial muscle chains, ligamentous strain technique, and others. The more Pamela practiced, the more she became compelled to learn about the origins of these techniques, with a fervent belief that in order to truly get the full story of the body and gain an understanding of how to effectively treat its dysfunctions, it was integral to pursue the study of traditional Osteopathy on a professional level. Robyn has been engaged in the field of natural health since 2011. Robyn was introduced to reflexology while working at a health centre in Saskatchewan, where she worked closely with a Reflexologist and Herbal Medicine practitioner. In February 2016, after years of witnessing and experiencing the amazing benefits of reflexology, Robyn became a certified Reflexologist through Lodgepole College and has been practicing ever since. 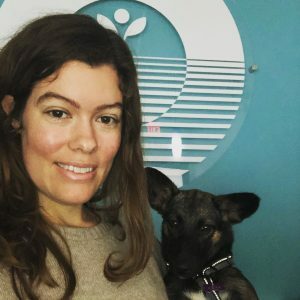 Robyn believes that each person’s true nature is that of health and wholeness and is truly passionate about helping her clients achieve this quality of life with the help of reflexology. 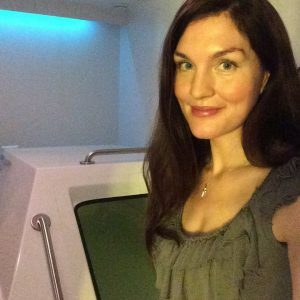 Sherri graduated from West Coast College of Massage Therapy in 1995 and enjoys a fulfilling practice in the False Creek area of Vancouver. She has enjoyed adventure, triathlon, road and mountain bike racing in British Columbia. Sherri continues to be at awe with the profound effects of working with connective tissue. Whether it’s a desire for enhanced athletic performance, a request for more pain free living or a wish for greater body awareness, she is eager to become a partner in realizing her clients potential. KMI’S Structural Integration appeals to Sherri’s quest for a holistic approach to the body, mind and spirit.